UHF/VHF 7-69 Channel TV Signal Antenna for Digital HD Reception!!! The Winegard HD-1080 UHF/VHF, performance antenna will grab difficult signals with amazing ease. Powerful, but small - no bigger than most home satellite dishes. Specifically designed for the digital TV signal transition. 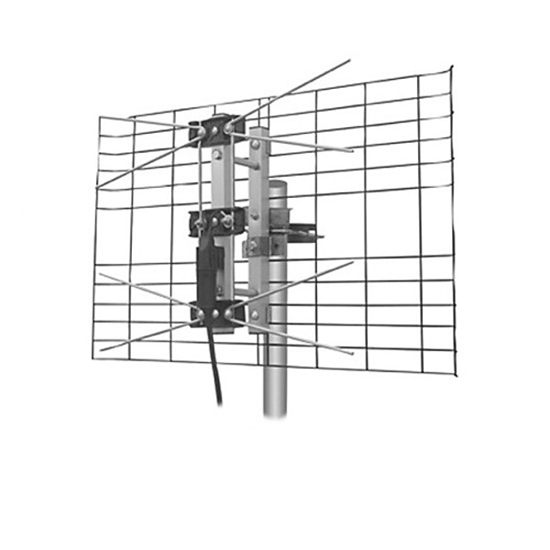 The Winegard HD-1080 antenna receives 2-3 times the signal gain on high band VHF channels 7-13 than other 2 bay antennas.